(Kazakhstan-2018-4-16)On last Monday (April 9th) and Tuesday, diplomat of the Chinese Embassy in Kazakhstan visited the University of Muhammad Haidar Dughlat in the City of Taraz and had a conversation with the Kazakh international students. According to the international students, the Chinese government arrested 41 students when they returned to visit their parents in China during the winter break. Three days ago, the Xinjiang police released three Kazakhstan citizens, who were incoherent and seemed to be in great terror. According to the Kazakh, another two Kazakhstan citizens, one male and one female, are still trapped in China. During this winter break, eight Chinese Kazakh students from the preparatory school of the University of Muhammad Haidar Dughlat were arrested in China. The Kazakh who chatted with the reporter said that he had friends and family members who were detained at the political training centers. 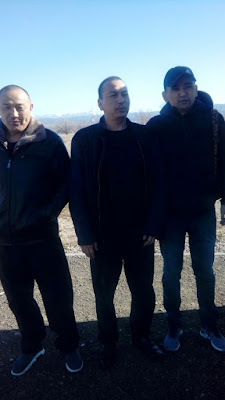 During the conversation with the Chinese diplomats, a Kazakhstan social activist named Herderale Wurez questioned the Chinese officials about the 41 Kazakh students who were detained in China. Among them, ten students were studying at the University of Muhammad Haidar Dughlat. The Chinese officials did not know how to respond. Herderale Wurez kept asking about the arrest and interrogation of innocent students at the concentration camps, and the two diplomats’ faces “turned green.” A Kazakh told the reporter that the Chinese officials never encountered such outspoken Kazakh students. They asked the administrators of the university about Herderale’s name. On April 10th, the two representatives from the Chinese Embassy met with the president of the University of Muhammad Haidar Dughlat, Muhammad Ali Sarajekov. The university announced that the international students should not return to China during the summer vacation. Instead, they should stay in Kazakhstan, and the school will arrange them to work in campus to reduce the tuition.